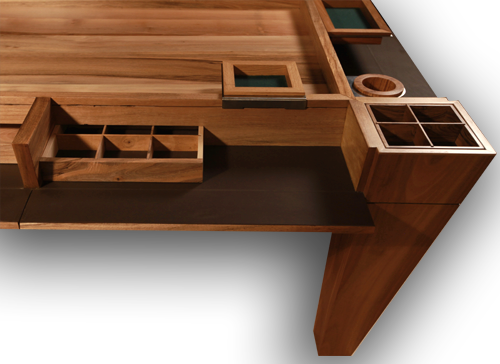 The reversible tabletop board transforms the table into a dining table in the matters of seconds. A surface of felt, erasable whiteboard or a magnetic grid can be added for even more possibilites. A gaming board under the tabletop for an optimal gaming experience. Here again felt, whiteboard, grid or even a glass board could be added. The table legs include small compartiments for organising your gaming material, these bins can be removed to give acces to even more space underneath. The accessories can be fixed on the mortises in the secretarys and around the table legs. Our wood essences are all carefully chosen by our carpenter and most of them are coming from the region Dauphiné in France. 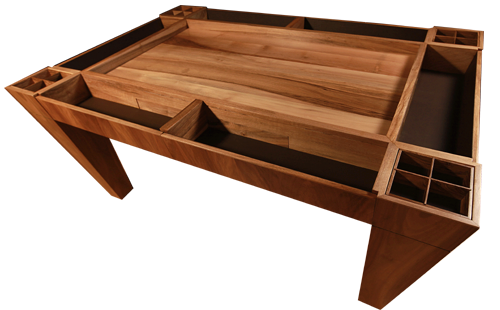 Our Legacy Game solid wood gaming tables are available in sycamore, oak or walnut. If you want another wood essence, feel free to contact us. Sycamore – A light colour giving your table a modern and light feeling, adapting easily to modern and minimalistic interiors..
Oak – the classic. 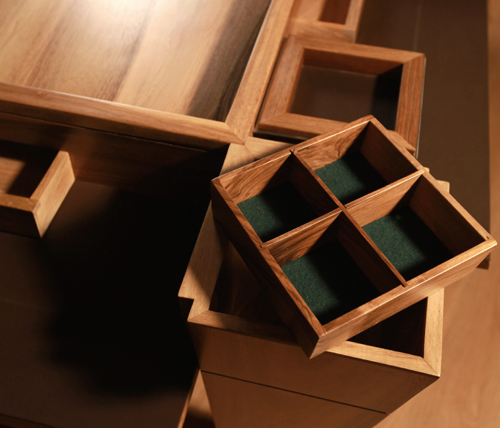 One of the most used wood essences for furniture, integrates easily in many various interiors. Walnut – a very elegant and noble essence, walnut is darker than sycamore or oak and gives your table the final touch of luxury. Contact us for more information and a personal quotation ! Our customer service is available in English, French and German. 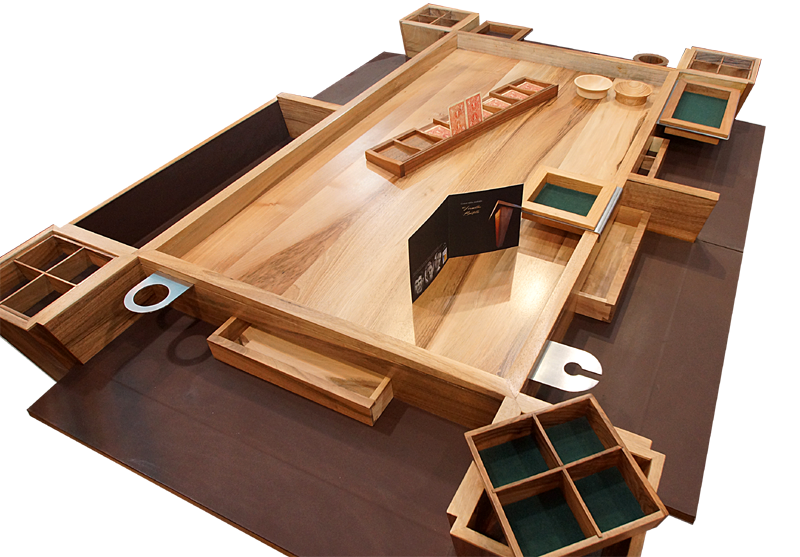 Check out our big choice of different accessories available that will come complete and customise your Legacy Game Home design gaming table for your needs. Tabletop engraving – push customisation of your Legacy Game table even further with engraving your logo or other motive into the table.